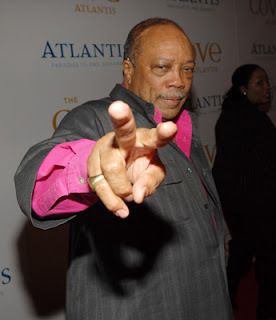 JUICY-NEWS: Quincy Jones to Michael Jackson: I'm too old for that sh*t! Quincy Jones to Michael Jackson: I'm too old for that sh*t! Legendary music producer Quincy Jones has turned down the chance to work on Michael Jackson's comeback album, because he's too busy. Jones produced Jackson's classic albums "Off The Wall," (79), "Thriller," (82), and "Bad," (87). But as Jackson prepares to launch his comeback following his acquittal on child molestation charges in 2005, Jones insists he won't be contributing to the album.